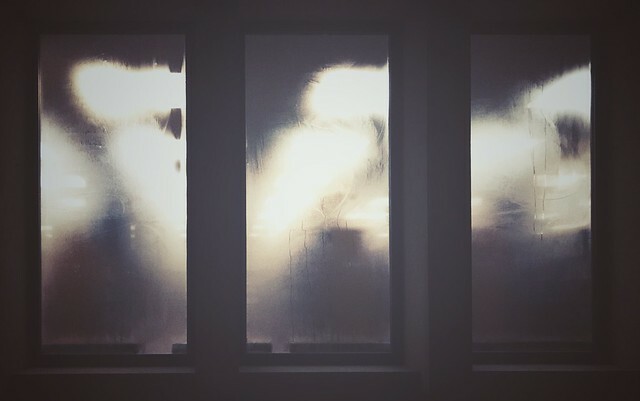 When the temperature drops, the library windows steam up. Seen at the front entrance to the library. 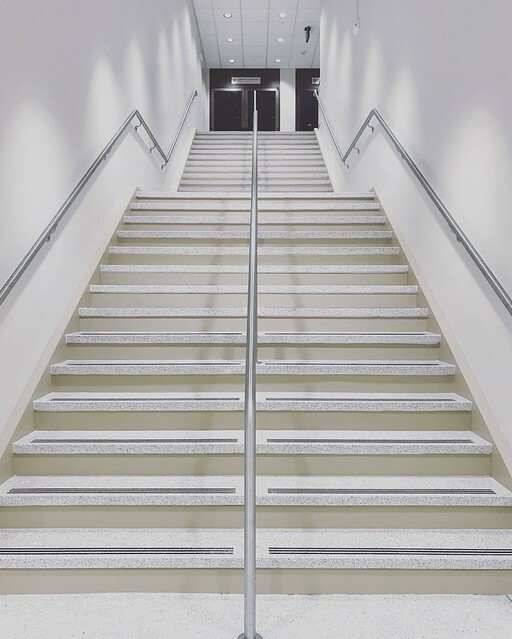 They removed the ancient escalators that kept breaking down and replaced them with a whole bunch of stairs. 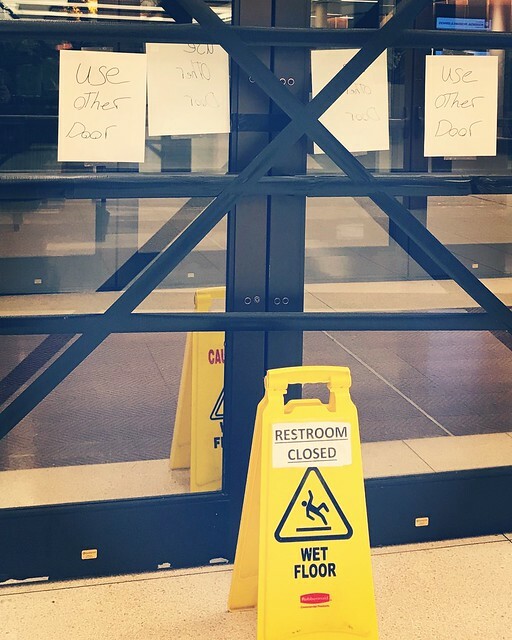 This is actually a huge improvement, because every time the escalators were out of order, that entire entrance/exit had to be closed off, which limited access to the department I work in. If you thought discipline was harsh at your job. One in an ongoing series. 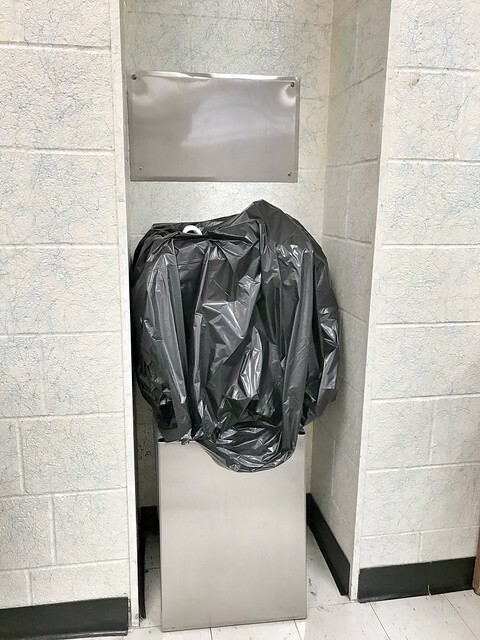 Our drinking fountain has been broken for months. 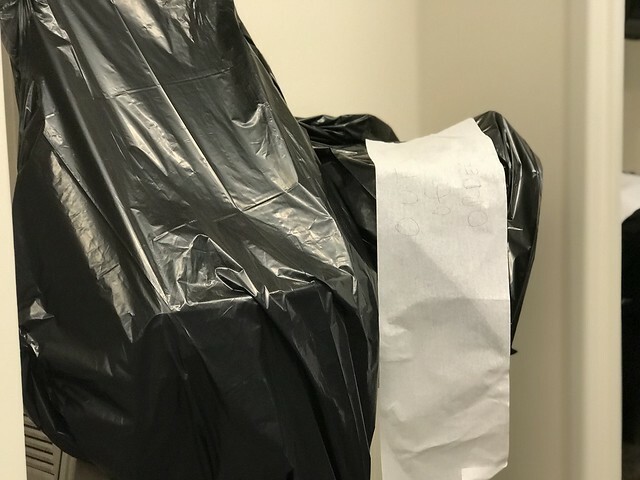 They finally fixed it a week or two ago, but today it was covered with the university’s standard “out of order” trash bag. A little motivational message from the elevator. That may not look exciting, but free tampons at the main university library? That’s kind of a big deal if you’re a ladyperson. I don’t know if this is going to be a campus-wide thing or library system-wide, or if it’s only being instituted at the main library, but it’s kind of amazing. Every cubicle should have a Dalek. I’m learning how to create name authority records, at work. 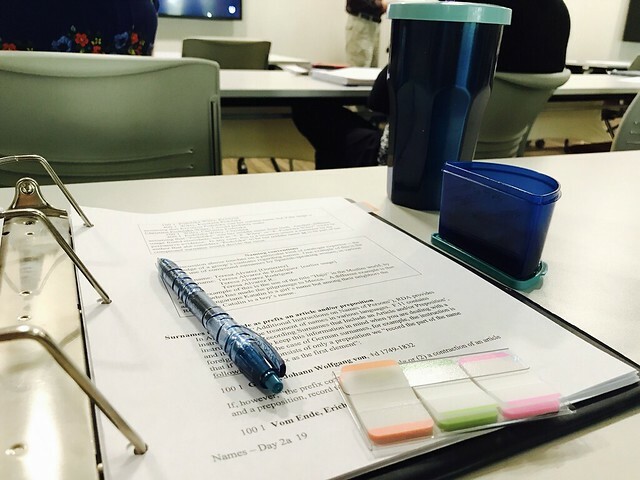 As the person teaching the class warned, the material is “excruciatingly dense.” Tomorrow we’re covering corporate bodies, which actually sounds kind of interesting to me, since I used to catalog gov docs.